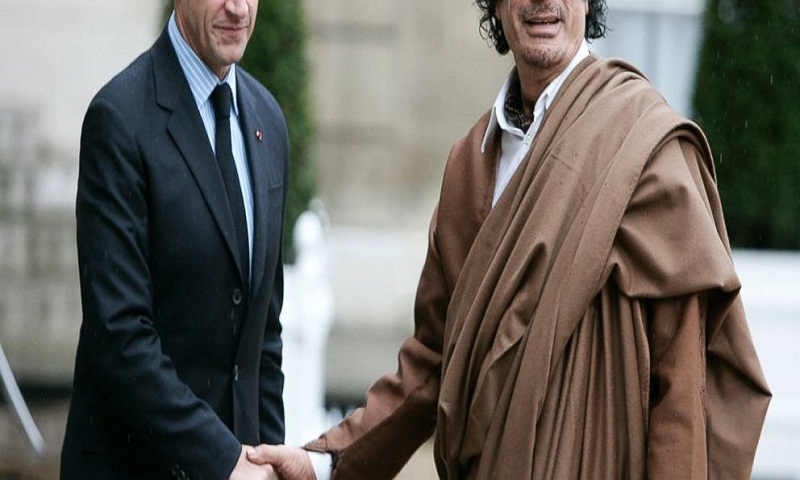 Former French President Nicolas Sarkozy is being questioned by police for a second day over allegations he took millions of euros in illegal campaign funding from the late Libyan leader Moammar Gadhafi. After spending the night at home, Sarkozy has returned to a police station in Nanterre, northwest of Paris, to be questioned by anticorruption police officers, a person with direct knowledge of the case told The Associated Press. The person spoke on condition of anonymity because he was not authorized to discuss the matter publicly. An investigation has been underway since 2013 into the case, involving funding for Sarkozy's winning 2007 presidential campaign. The 63-year-old Sarkozy has repeatedly denied any wrongdoing.